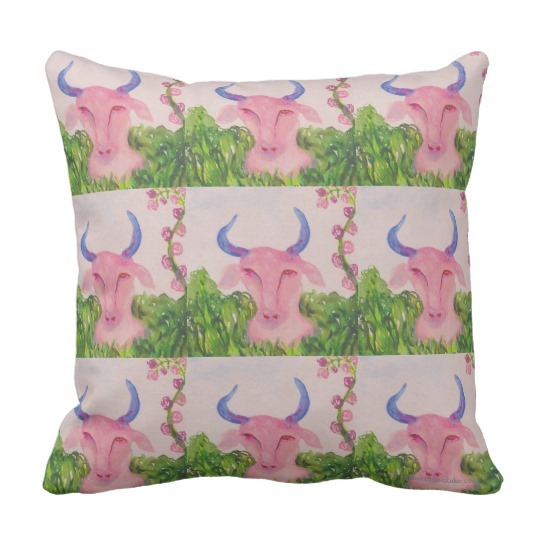 Soft pillow featuring Taurus The Bull symbol watercolor. Available in two shapes, three sizes, two fibers. 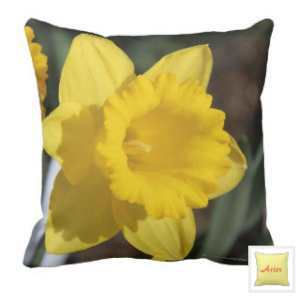 All pillows can be customized – visit our online art store now to see all our beautiful pillows. We’ve created a beautiful line of pillows featuring original astrology art. 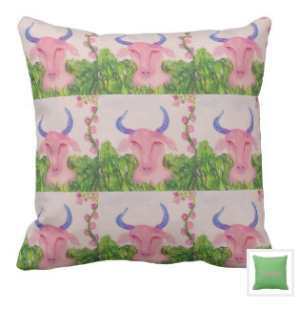 Choose from the 12 zodiac symbols (like the Taurus The Bull pillow shown here), or select a painting or photography style in a design especially suited to your sign. 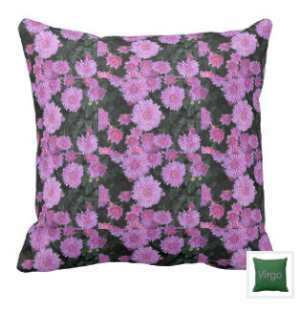 Polyester Lumbar Pillow 13″ x 21″ is made of high quality Simplex knit fabric. It’s 100% polyester and wrinkle free. Its heavyweight stretch material shows off the designs beautifully. Its size and shape are perfect for a lumbar pillow. Hidden zipper enclosure, synthetic-filled insert included. Made in the USA. Machine washable. 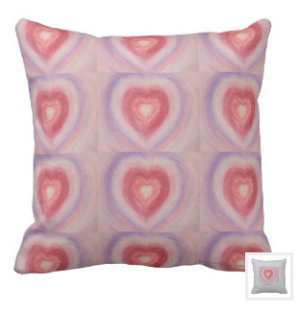 Polyester Square Throw Pillow 16″ x 16″ is made of high quality Simplex knit fabric. It’s 100% polyester and wrinkle free. Its heavyweight stretch material shows off the designs beautifully. Its size and shape are perfect for dressing up your decor, at home or office, or bringing comfort to your car. Polyester Square Throw Pillow 20″ x 20″ is made of high quality Simplex knit fabric. It’s 100% polyester and wrinkle free. Its heavyweight stretch material shows off the designs beautifully. Its large square size and shape are perfect for dressing up your decor, at home or office, or bringing comfort to your car. Grade A Cotton Throw Pillow Lumbar 13″ x 21″ is made of 100% grade A cotton. The outer fabric’s natural fibers give you cotton softness, and any slubs or irregularities in the fabric are part of cotton’s natural texture and beauty. Its size and shape are perfect for a lumbar pillow. Hidden zipper enclosure; synthetic-filled insert included. Made in the USA. Machine washable. 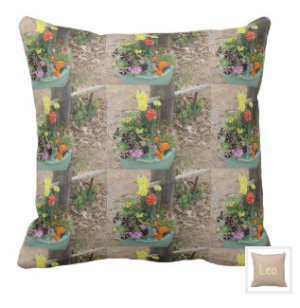 Grade A Cotton Square Throw Pillow 16″ x 16″ (shown here) is made of 100% grade A cotton. The outer fabric’s natural fibers give you cotton softness, and any slubs or irregularities in the fabric are part of cotton’s natural texture and beauty. Its size and shape are perfect for dressing up your decor, at home or office, or bringing comfort to your car. Hidden zipper enclosure; synthetic-filled insert included. Made in the USA. Machine washable. Grade A Cotton Square Throw Pillow 20″ x 20″ is made of 100% grade A cotton. The outer fabric’s natural fibers give you cotton softness, and any slubs or irregularities in the fabric are part of cotton’s natural texture and beauty. Its large square size and shape are perfect for dressing up your decor, at home or office, or bringing comfort to your car. Hidden zipper enclosure; synthetic-filled insert included. Made in the USA. Machine washable. We’ve customized this pillow for you as shown here: the front has the Taurus The Bull zodiac bull symbol, and the reverse has a colored background with the word “Taurus” in a traditional font and bright color chosen especially to harmonize with Taurus energies and colors. 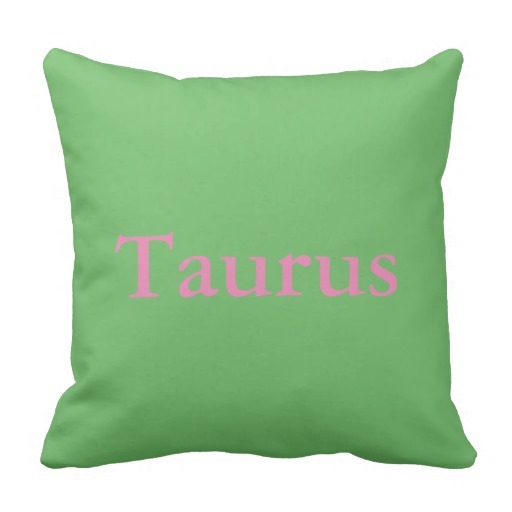 All zodiac sign watercolor pillows are designed in this same style, with the matching sign name on the reverse, and you can change any or all of these colors, text choices, and image placements. All our pillows help you bring “the beauty of art and the intelligence of astrology” into your daily life. 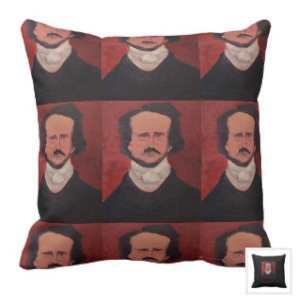 Visit our online art store now to see all the colorful pillows we offer. 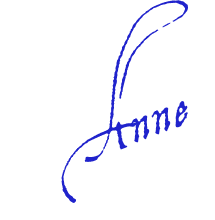 They are wonderful to have in your home, office, or car, and they make lovely, meaningful gifts for your loved ones and friends. All our premium designer pillows are inspired by astrology. That makes it easy for you to enjoy living harmony: not only are these gifts beautiful, they’re practical and powerful because they help you be your best self.